Over the years, the Samsung dishwasher has gone from an exclusive luxury to a domestic essential, allowing families to enjoy quick, easy and hassle-free washing up in their home. Whether you’re hosting a diner party and don’t want to be tied to the sink, or you simply want to cut back the time and energy spent on household chores, a Samsung dishwasher will help you to avoid a daunting mountain of washing up at the end of every meal. We supply an extensive range of integrated dishwashers, including Samsung, Bosch, Candy, Grundig, Hotpoint, and Miele dishwashers, so you can find the perfect dishwasher for you. 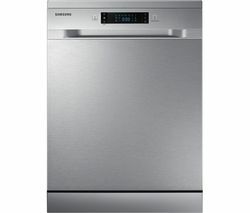 Samsung dishwashers are renowned their high performance cleaning and their state of the art features. 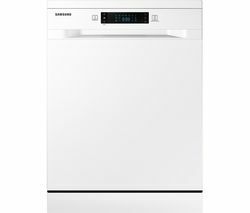 The Samsung Waterfall DW60K8550FW/EU Full-size Dishwasher delivers outstanding cleaning results with its WaterWall technology, Zone Booster targeting washing, and five wash programmes. Other features found in many of our Samsung dishwashers include Flex Wash technology, leakage sensors, and an Express Wash cycle.